Joining us today is the talented author of over 30 stories from Ellora's Cave, and many more! Hello…I'm a writer and I write about damaged people. It's not necessarily that I like broken people. It's that they kind of come to me that way. Although, to be fair, I do my fair share of tormenting my characters, once I have them. It's fun to do it do that way. That old nothing worth having ever came easy…or however it goes. When they've had it rough, it's so much more fulfilling once they reach that HEA I have in store. It's not that I set out to intentionally write about damaged people. They just come that way. Take Hope, for instance. She's the heroine of my upcoming romantic suspense, IF YOU SEE HER. I didn't exactly know who Hope was going to be when I plucked her out of thin air. I had this vague image of her hovering in the back of my mind while the first story was starting to form. I knew she would be the heroine of book 2 or book 3, but that was it. At that time, I knew more about the heroine of book 1, Lena. And I knew about Law…Lena's friend. I knew about Ezra, Lena's hero. But I didn't know about Hope. I got to know her, though…she was a woman on the run. Not from somebody chasing her, exactly, although the fear was there. She was more on the run from her own fear. Fear of life, fear of what had happened, what she'd let happen, what might happen. Fear had dictated her life…and just might have continued to do that. If I didn't throw another curve ball at her. The hero from a completely different series. I've talked about this guy. Taylor Jones. He's the one I call the a------. Fill in the blank…I didn't have many complimentary terms for him. Didn't like him. Didn't want to talk about him. But people kept asking about him. And asking. And asking. And what happens when you ask writers questions? They sometimes start asking themselves the very same questions. I did, anyway. And I found the story of a very, very troubled soul. Another damaged soul. A guy who'd lost somebody, somebody who'd meant everything to him. His way of reacting was to shut everybody out, focus on doing the one thing he could to cope. He hunted monsters, because he didn't want anybody else to go through what he went through this. He kept everybody at a distance, because all that mattered was his mission. That is THE DEPARTED. I just feel drawn to write damaged people…I'm not sure why, but I really do think it goes back to the happy ever after. For some reason, it seems that much sweeter when they struggle for it. 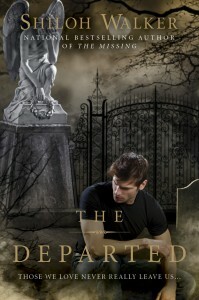 Looking forward to Hope's book.. Loving this series. OMG. You do 'damaged' so well. I am completely drained and then filled back up when I read your books. Can't wait to read your latest. 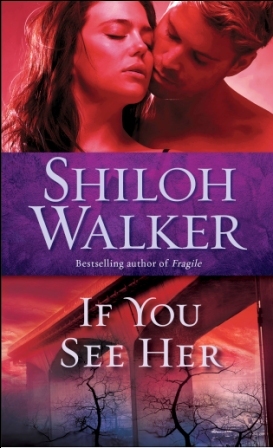 Congrats on the upcoming release, Shiloh.